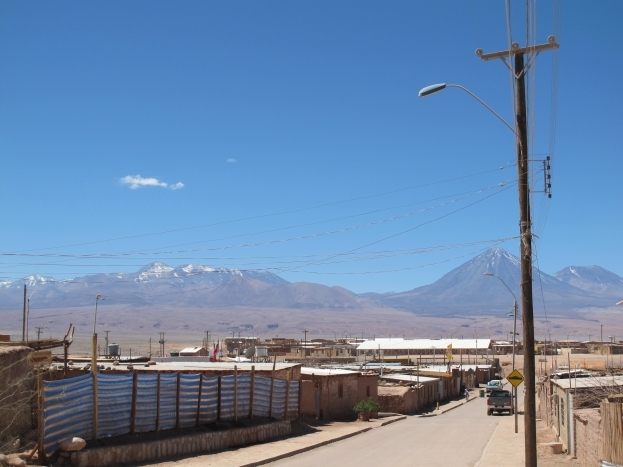 One of the most popular ways to cross the Chile-Bolivia border is on a 4WD tour from San Pedro de Atacama through the Bolivian desert to the small town of Uyuni. 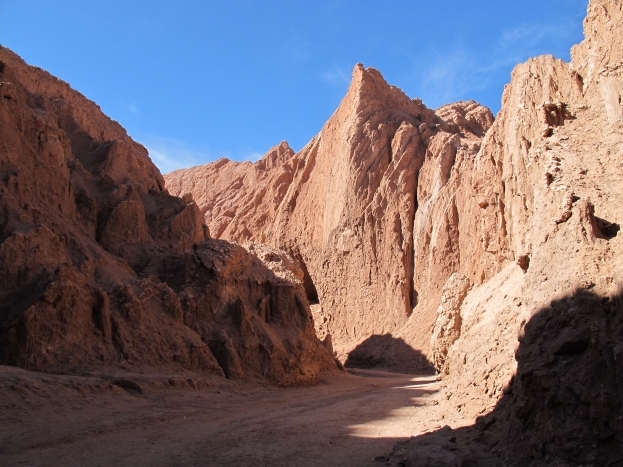 San Pedro is a dry, dusty oasis in the middle of the Chilean desert and a haven for adventure-seekers. 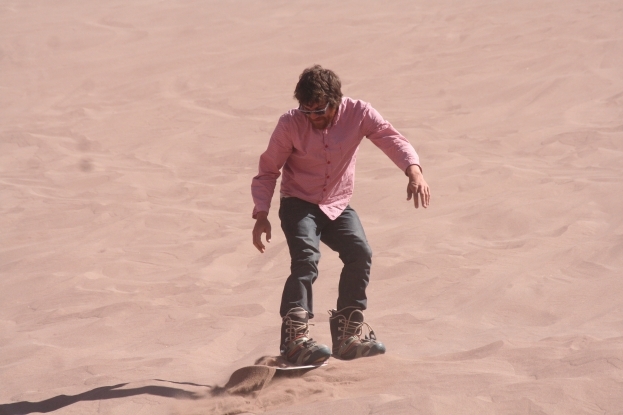 Every second shop is a tour agency, offering everything from mountain biking to hiking to sand boarding. Despire the harsh conditions, San Pedro is surrounded by some amazing scenery, which we well and truly soaked up during our two days there. 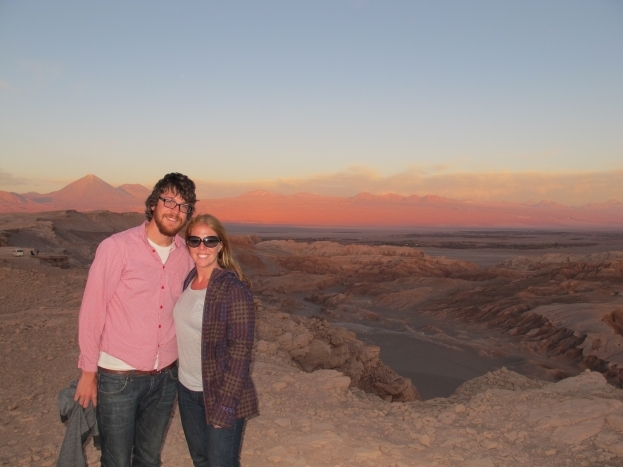 Our first afternoon was spent on a tour of Valle de la Luna (Moon Valley). After driving 20 minutes out of San Pedro, we explored abandoned salt mines, beautiful rocky canyons and ended the afternoon watching the sunset colour the Andes mountains pink. 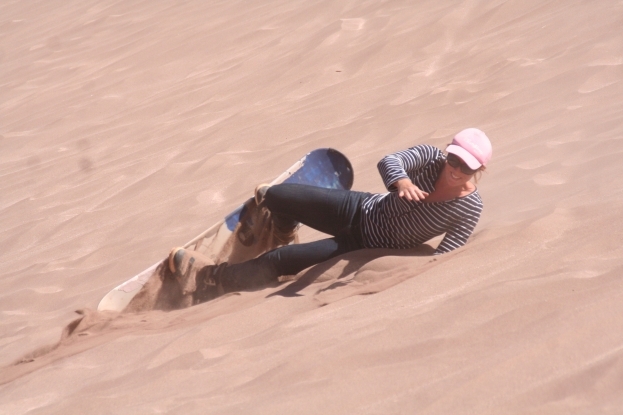 The next morning we signed up for the ultimate workout – sandboarding. It was great fun, although would have been a lot better if they had chairlifts like the snow – trekking up the sandy mountain for another go was exhausting. And with the amount of stacks we had as beginners, we needed a very long shower to clean the sand out of every crevice of our bodies. It was early to bed on our final night, knowing we had a big three days in the desert ahead of us. We were advised to avoid cola, alcohol and red meat to help our bodies prepare for the 4500m+ altitude shock we were about to face.